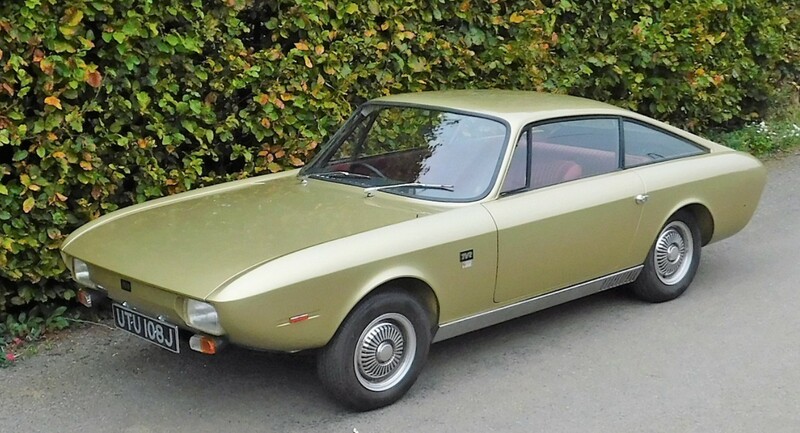 The Djet was a product of the Rene Bonnet company but when they went bankrupt in 1964, Matra bought it out and continued production of the little sports car. They iterated on the cars, selling the Djet 5 and 5S. Eventually they dropped the “D” and the car became the Jet 5S. And then came version 6. What we have here is a prototype that used a Jet 6 as the starting point and is now a purpose-built race car. It’s powered by a bored-out 2.0-liter Gordini straight-four from an Alpine. It was raced by its original builder, Marcel Moissonnier, in hill climbs around France. The current owner acquired it in 2015 and has used it on closed-circuit tracks. One-of-a-kind, it should bring between $17,000-$23,000. Click here for more info and here for more from this sale. 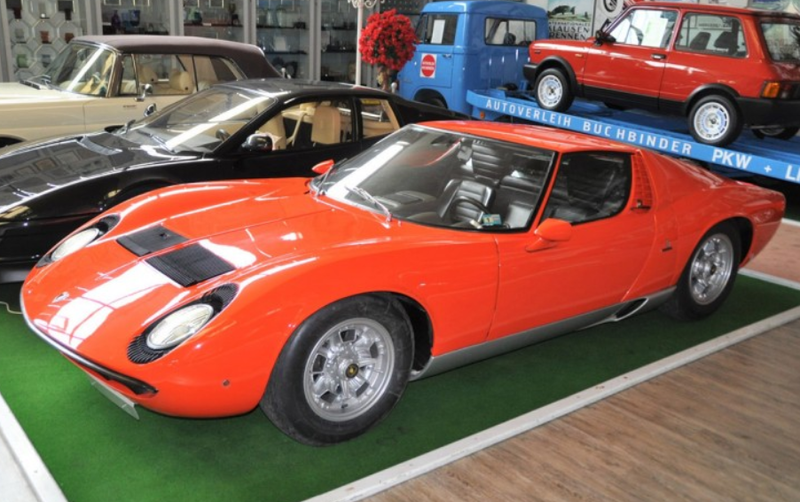 The Lamborghini Miura is largely considered to be the first supercar. And rightfully so as it checks most of the supercar boxes: outlandish, racy looks (check! ); unreal speed (it was the world’s fastest car upon introduction… so… check! ); a mid-engined layout with a V-12 (check!) and a very exotic name (check!). Miuras were built between 1966 and 1973 and the first model offered was the P400. Produced between 1966 and 1969, when it was replaced by the P400 S, the base P400 is powered by a 4.0-liter V-12 producing 350 horsepower. These cars were capable of about 170 mph, making them quicker than anything else on the road at the time. 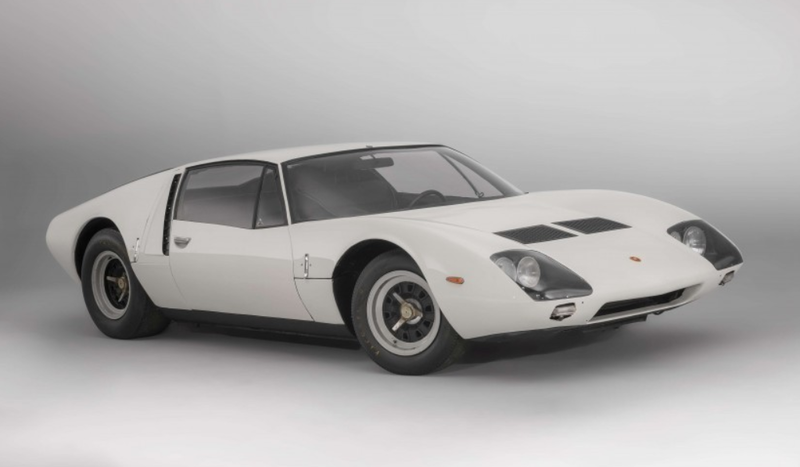 This example, one of just 275 produced, was sold new to a rich Texan via Lambo’s London dealership. He kept the car until 1987 when he donated it to a museum in San Antonio. 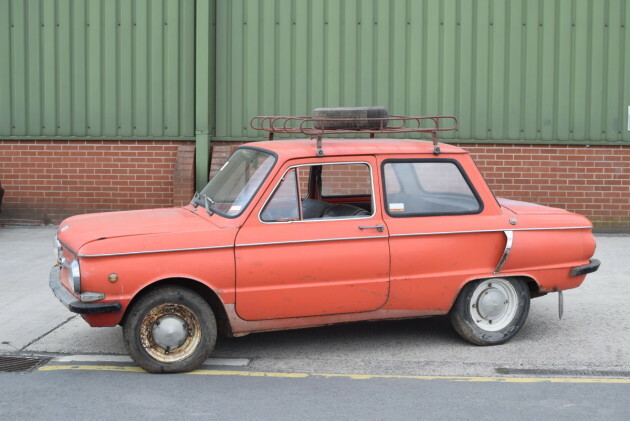 From there, it was purchased by a German owner in 1994. 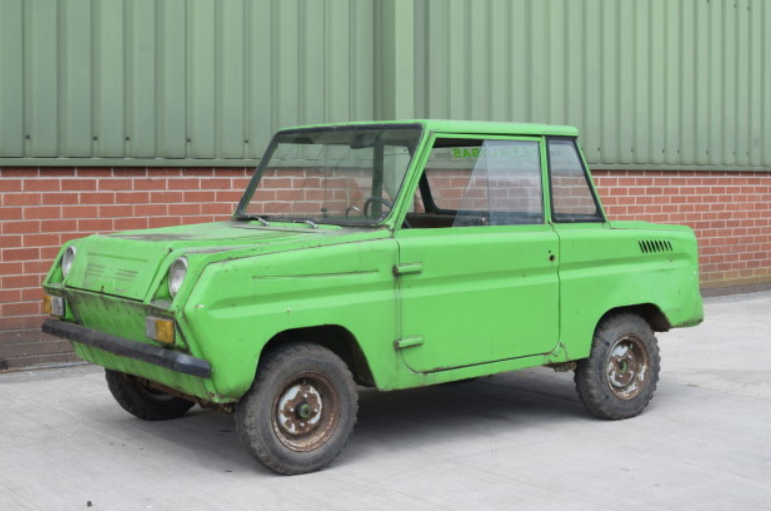 Another German had it until it was purchased by its current owner in 1999. 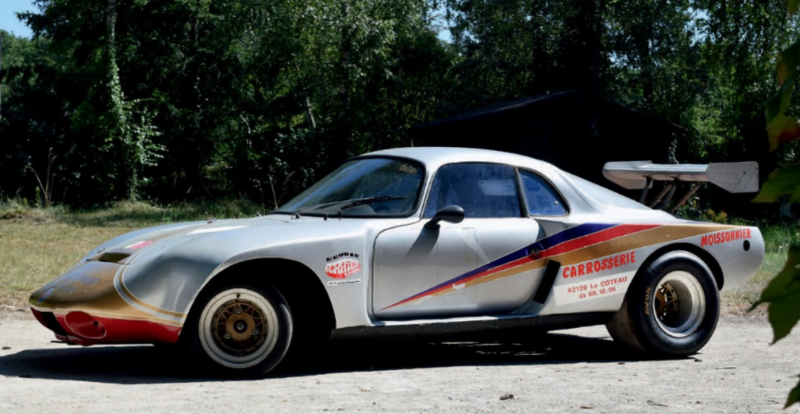 A rare, well-maintained survivor, this 26,000 mile car will likely break the bank if it finds a new owner this weekend in Monaco. Click here for more info and here for more from this sale. Imagine if you and a group of your car-loving friends decided to start building your own car because one of your friends’ family was big into the fiberglass business? Well that’s pretty much exactly how it went down for Microplas Ltd. In 1954, six members of a British car club formed a company that built shells to turn ordinary British cars into sports cars. The first model was designed for the Austin Seven. The second car the company introduced was a roadster called the Mistral. It was a popular body style and a number of different companies marketed the body under various names. The Mistral, introduced in 1955, was intended for the Ford Ten, but the car you see here is based around the chassis of a Triumph TR3. And it has an engine from a TR4, which is a 2.1-liter straight-four which put out 105 horsepower when new. 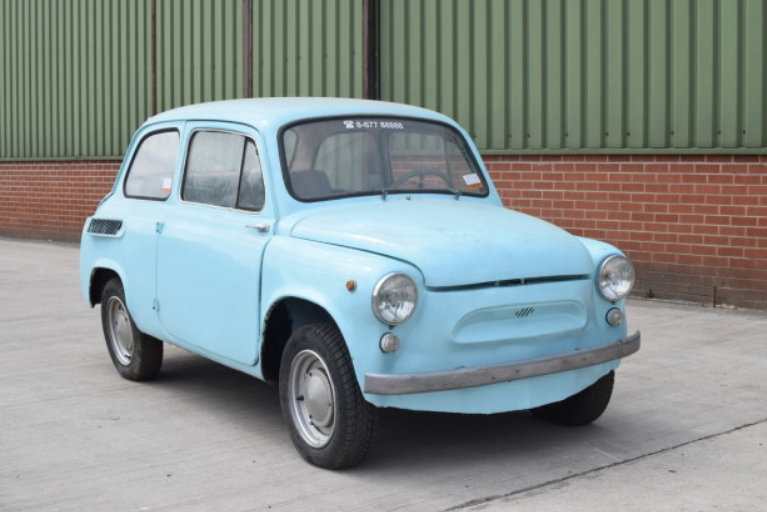 The car was put together in the late 1960s and the fact that it is based on a Triumph is good news for anyone who has to work on it as parts are readily available. It’s an all-original car – a popular kit that is rarely seen today – and it should bring between $12,500-$19,000. Click here for more info and here for more from this sale. In 1967 Peter Rix joined Julian Booty’s Vintage Sports Car Garage and they changed the name to the Lenham Motor Company. 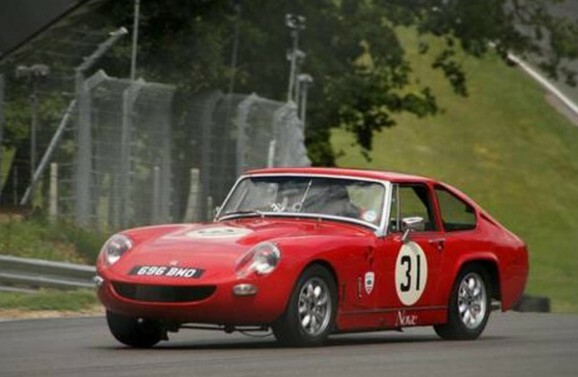 Their first cars were based around the Austin-Healey Sprite. Racing cars and other models followed. Production ceased in 1982 but the company was revived later on and is still doing some work. 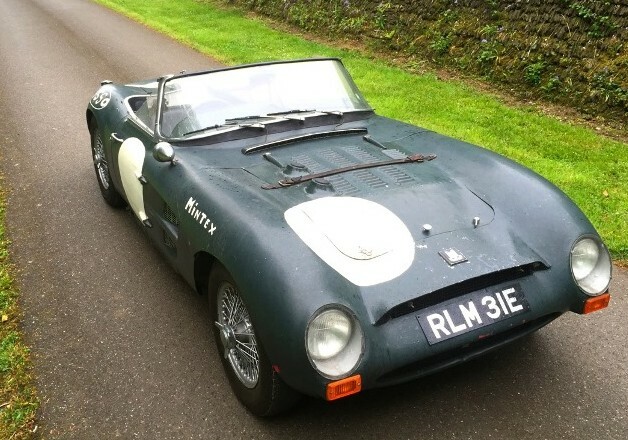 The Le Mans was a GT car based on the Sprite and the engine is likely a 1.3-liter straight-four making in the neighborhood of 65 horsepower (if this particular car is based on a Mk IV Sprite). The body is fiberglass and the car is fully race-prepped for vintage racing. What makes this car interesting is that it was the final official Le Mans Coupe converted by Lenham. It’s a neat, rare little race car that would be a great way to get into historic racing and it should sell for between $24,500-$30,500. Click here for more info and here for more from this sale. 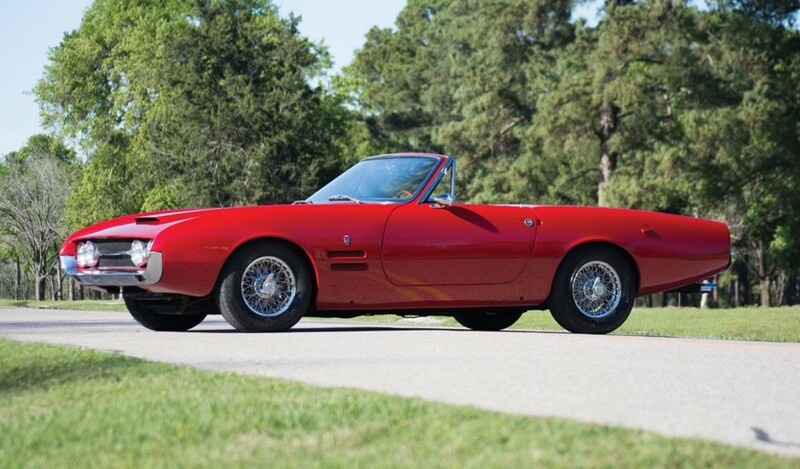 Everyone loves Ferrari convertibles, yet they are so rare. It seems like, over the years, Ferrari has turned out drop-tops at just a fraction of the rate as their hardtop counterparts. Only 99 of these were built. 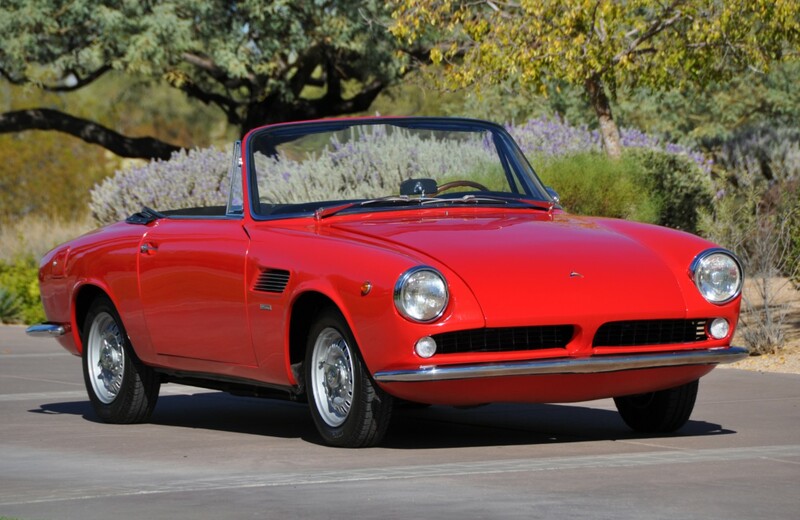 The 330 GTS is the Pininfarina-styled convertible version of the 1966-1968 330 GTC (whose production numbered nearly 600). It’s powered by a 300 horsepower 4.0-liter V-12 that can push the car to 150 mph. 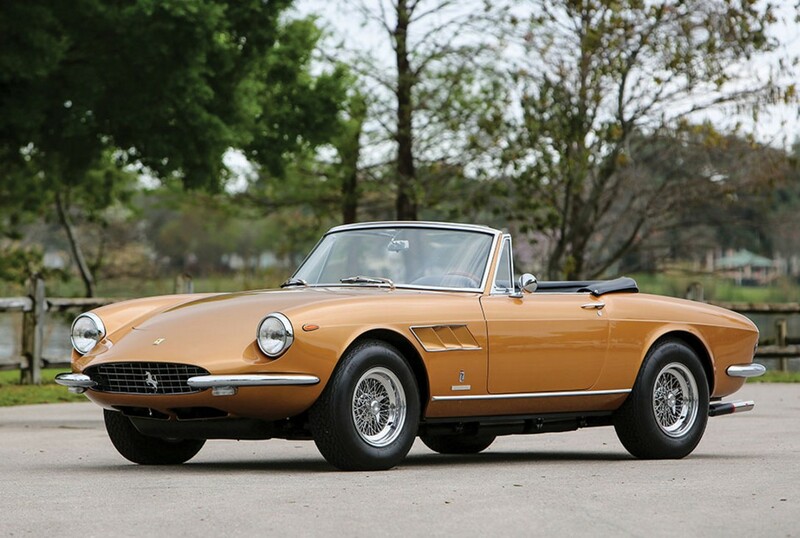 It was the followup to the short-lived, but similar-in-style 275 GTS. This example sports its rare, original colors: gold with black interior (but of course those colors have fancier, Italian names). No red respray here. First purchased in New York City, this car has spent its entire life in the States in the hands of numerous owners. It was involved in an accident in the late 1990s and was professionally repaired. To further ease any damage fears, an extensive restoration was carried out in 2014 (and by “extensive” we mean it cost like $400k). It’s one of the nicest examples anywhere of the only 99 ever built and it should bring between $2,350,000-$2,700,000. Click here for more info and here for more from this sale.